The Showroom's choice for the most revelant items in this page, is a Thriller-era related this week. 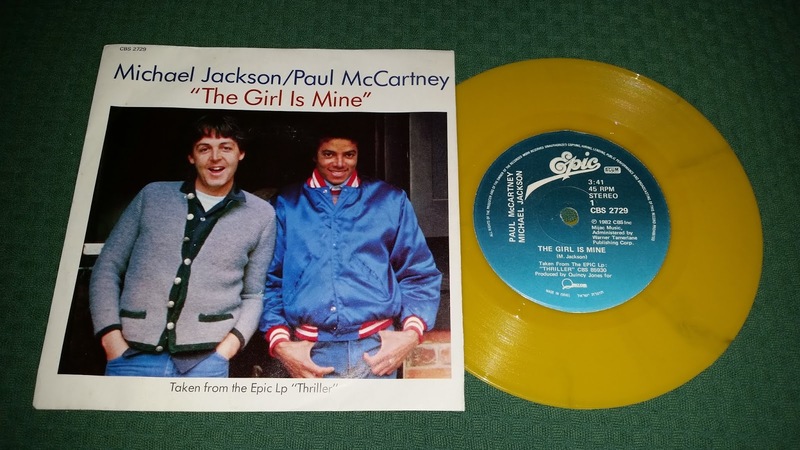 We're talkin'about the first single released to launch THE BIGGEST SELLING ALBUM OF ALL TIME! 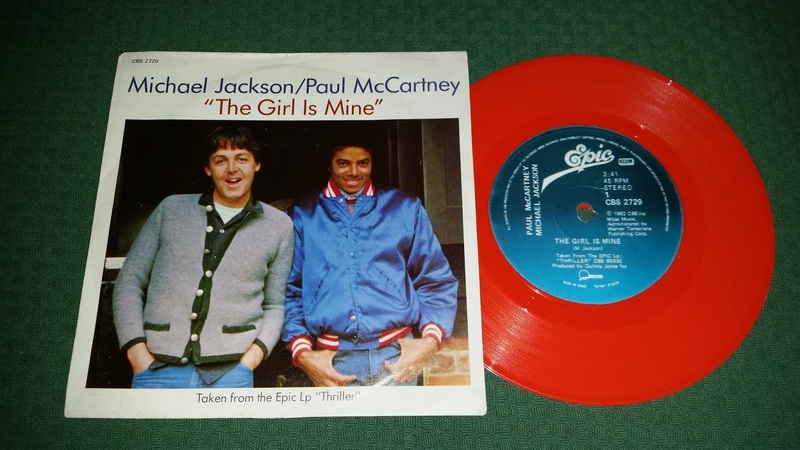 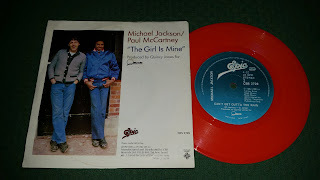 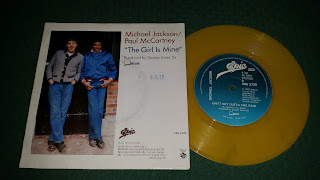 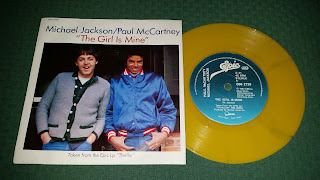 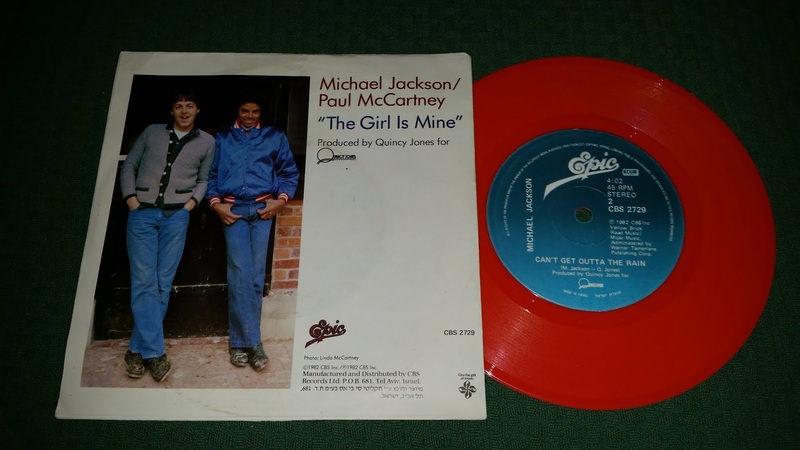 "The girl is mine" with Paul McCartney was released a few weeks before the album date, and in Israel got a 2 coloured versions in its 7'' format:one in yellow vinyl, and one in orange vinyl. 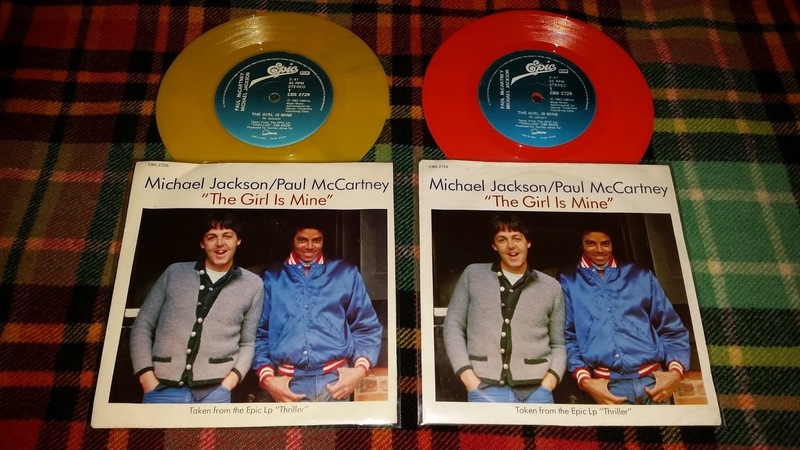 Someone told me in the past there's a red version too...I think indeed that is a darker orange colour, so I'm quite sure that only 2 coloured versions have been produced in Israel.